Ball Post Railing comes with several different sizes and types of balls for connecting posts and railings. The current available sizes have been created in accordance with Lionweld Kennedy, Webforge and Nepean manufacturer’s catalogues. Post type, where it is the case. S – used for solid posts – this identifier is not always shown, depending on the catalogue. 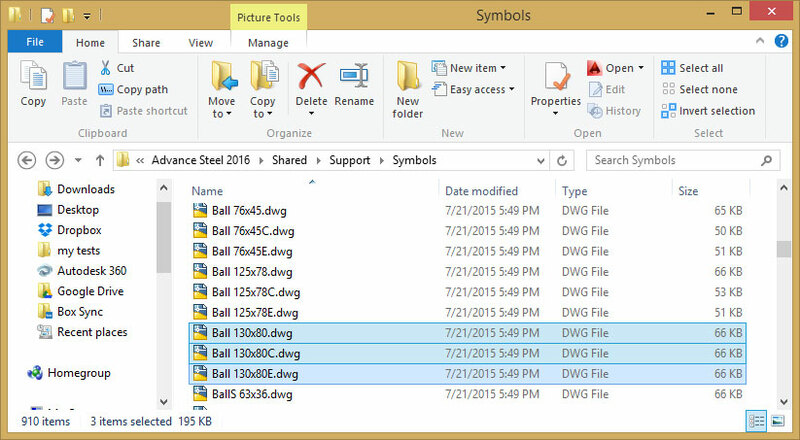 The first step is to create the ball as a special part – an ACIS element in a clean AutoCAD model, and save the drawing with the corresponding name in order to identify the ball size. The end and corner versions of the same ball must have a name identical to the basic special part, followed by the extensions E for end and C for corner. After the drawings with the special parts are created and saved with the correct name, copy them in the following path: C:\ProgramData\Autodesk\Advance Steel 2016\Shared\Support\Symbols. This is the folder where all the Advance Steel special parts are stored. Note: If Autodesk Advance Steel is uninstalled and the folder Advance Steel 2016 from C:\ProgramData\Autodesk is deleted, the drawings will be deleted. 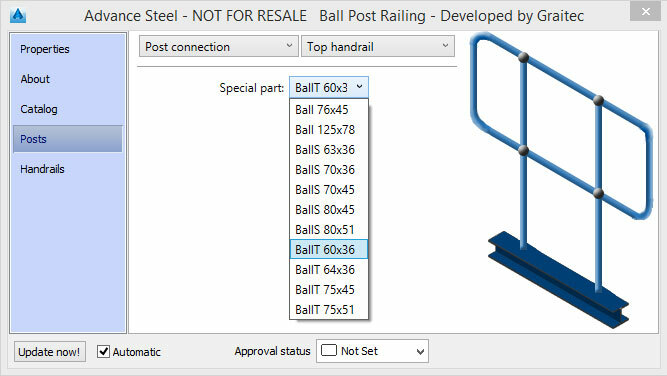 In the RailingSpecialParts database only the basic special parts will be inserted. The end and corner versions will be automatically loaded according to the post position. 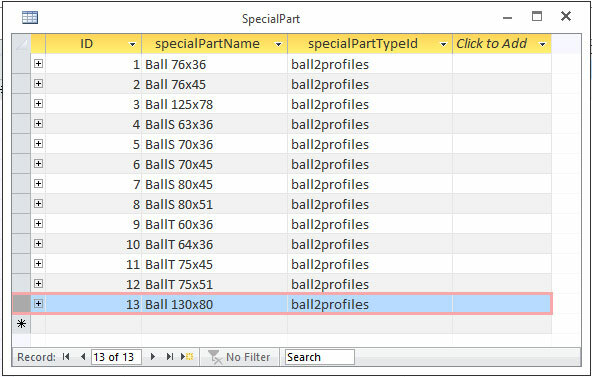 For example, the new type of ball is added to the special part folder: Ball 130x80 and its end and corner versions. The new special part will be inserted in the Special Part table from the RailingSpecialParts database. The field ID is unique to each special part. The field specialPartName will be the name of the special part drawing, and the field specialPartTypeId contains the ID from the SpecialPartType table (the same specialPartTypeId can be applied to several special parts). The next table that must be filled with new information is SpecialPart_Parameter. 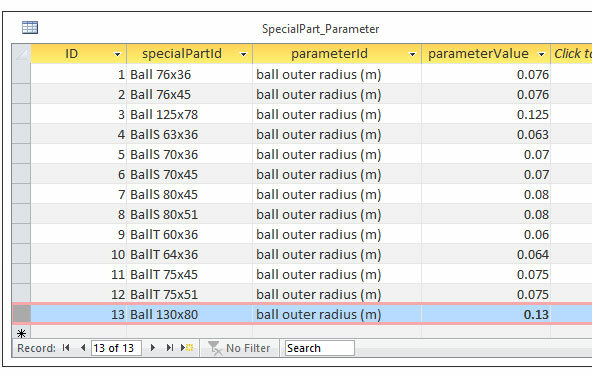 This table sets the parameter values for each special part. 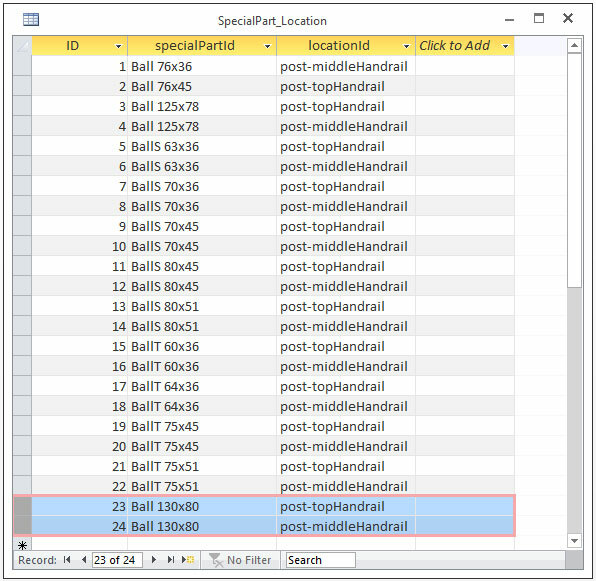 The ID is unique to each entry, the specialPartId is linked to the SpecialPart table and you must select the new special part from the list. Note that each entry links only one parameter to each special part, so in order to link several parameters to the same special part, several entries must be created for the same specialPartId. The last table which must be filled is SpecialPart_Location. This table sets the location for the special part. The ID is unique, the specialPartId links to the SpecialPart table and the locationID links to the Location table. Note that the same part can be placed in more than one location. So if you want to use the Ball 130x80 at the top instersection between post and railing, a line with the post-topHandrail location must be added. The same applies if you want to use the special part at the middle intersection. After completing this last step and restarting Advance Steel, the new ball size will be available in the list of balls, in Posts -> Post connections -> Top handrail/Middle handrail tab.